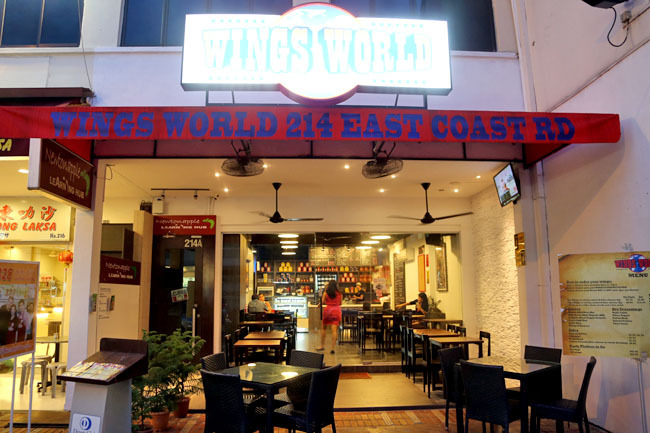 A specialty quick service restaurant which serves mainly chicken wings? What took Singapore so long to open something like that? And I am not just talking about Korean Fried Chicken. 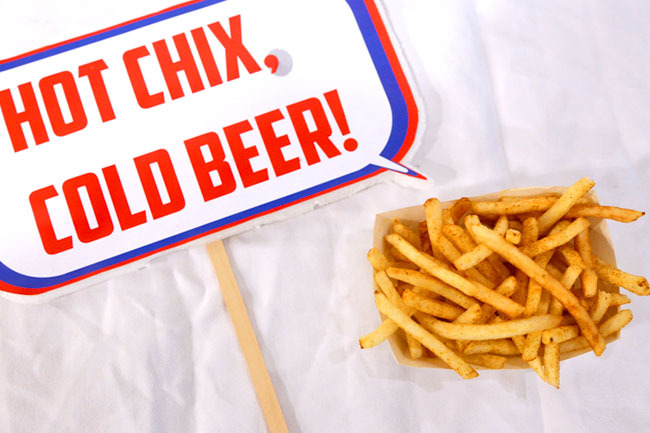 Wings World got us fellow deep fried chicken lovers fairly excited. 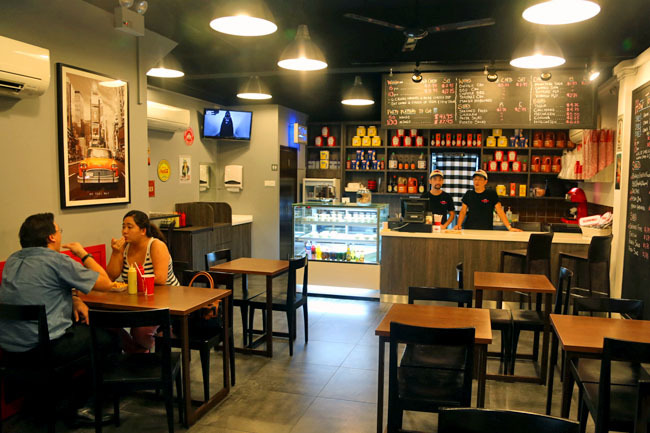 Located along East Coast Road next to the famous ‘Gordon Ramsay’ 328 Katong Laska, this new restaurant serves American-style wings in 13 different flavours – some covered with sauces and some dry seasoning. 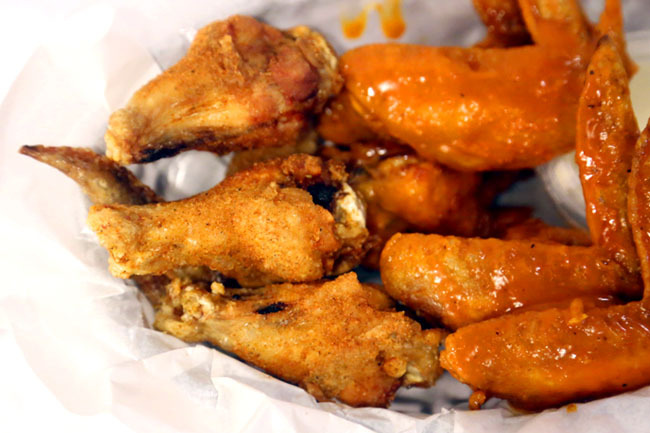 Wings are in sets of 6 pieces ($7.95 with side and drink) or 10 pieces ($11.15) where you can choose between winglets, drumlets or a mix of both. Mix and match flavours such as the more saucy Buffalo, BBQ, Teriyaki, Asian Zing, Mango Habanero or Rajin Cajun, Italian Herbs, Jamaican Jerk, Vurry Curry and Citrus Pepper which are covered with dry seasoning. The sauces are said to be made inhouse from scratch using over 75 spices, herbs and ingredients. Colonel Sanders in the making? Here’s what we liked first: Service was prompt and friendly, the shop took some effort to make it the décor all American-like (though we felt the chairs and flooring didn’t fit in that ‘Western’ look). The sides of Seasoned Fries, Coleslaw and Potato Salad ($1.75) were generally liked by our table to varying degrees. At least we each had our favourites. When the wings came served, we had to admit we were slightly disappointed with the look and portion “Huh? So small only”. 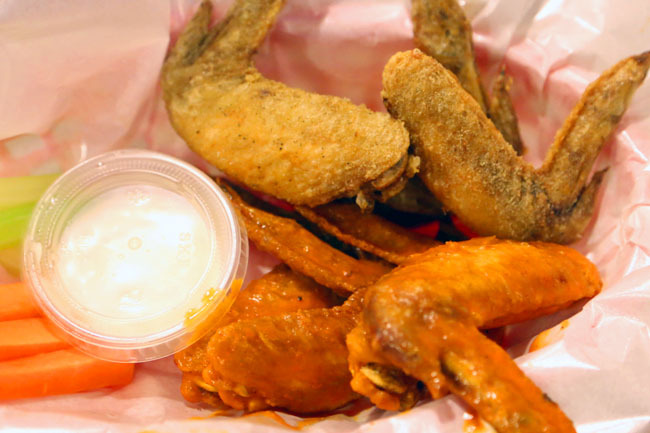 We came with larger expectations, anticipating those bigger Buffalo wings type. Perhaps we took some time photographing the wings (say 5-8 min), they ended up being dry and parched, especially those with dry seasonings. Then, I wondered what the moisture of the wings would be like if after takeover. After all, I would imagine people buying party packs home, which are incidentally $43.95 for 50 wings. 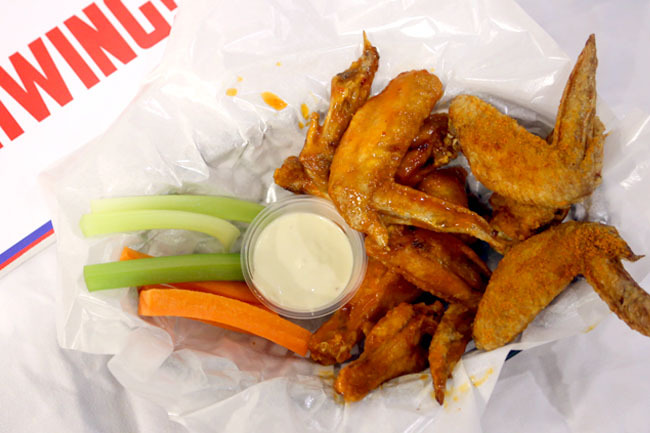 Of the many flavours tried, the Mango Habanero (part sweet part chilli peppery), Buffalo, and Italian Herbs tasted best – generally with a more distinct zest and bite. The Buffalo comes in mild, hot and blazin, though I think a 4th level would work better – bring it on. Being new, Wings World would need some time to focus on what it does well. My table had two suggestions (and I hope they allow us to be frank): Include more sides such as increasing the variety of fries (or even include milkshakes), and maybe get another chicken supplier. We all prefer fatter wings.